ItemI-02518 - The Nut House, 718 Yates, Victoria. ItemI-02509 - 109Th Battery At Fort Rodd Hill, Victoria. ItemI-02510 - Weston's Bakery Fernwood Road At Gladstone, Victoria. ItemI-02511 - BC Provincial Government Employees Meeting; Victoria. 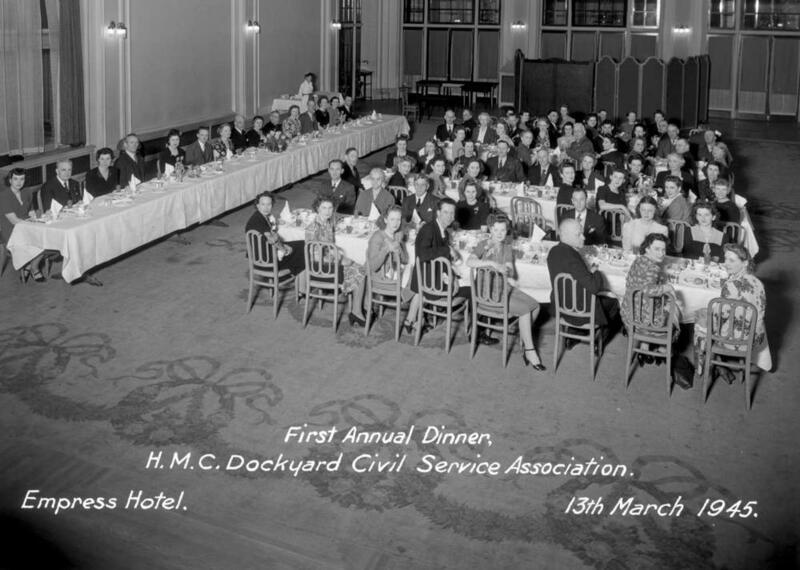 ItemI-02512 - "First Annual Dinner, HMC Dockyard Civil Service Association, Empress Hotel, 13th March 1945". ItemI-02513 - Vancouver Island Pigeon Racers Meeting, Victoria. Item I-02512 - "First Annual Dinner, HMC Dockyard Civil Service Association, Empress Hotel, 13th March 1945".